Google is easing its rein over Android Wear, with the first “glimpses” of OEMs’ increased control over the smartwatch OS to be visible on the Asus ZenWatch. That’s the gist of a talk that Google VP of Engineering Hiroshi Lockheimer had with Recode’s Ina Fried. “It’s not some Google-way-or-the-highway kind of thing,” said Lockheimer in response to questions about the tight control that Google has over the first generation of Android Wear smartwatches. Devices like the LG G Watch, Moto 360, and Samsung Gear Live are basically identical in terms of software experience. Google only allowed its hardware partners to customize the watch faces users can choose from, as well as to pre-load some apps, like Motorola’s heart rate monitoring app. According to Lockheimer, Google wanted to “have the basics right” before giving OEMs the freedom to tweak Android Wear. But that’s changing now, and the Asus ZenWatch will be the first smartwatch to show “glimpses of how hardware makers can customize software on Android Wear watches,” said the Google executive. It’s not clear how Asus and other OEMs will get to tweak Android Wear: it’s possible that Google will allow some sort of theming, but it seems unlikely that companies will get to create heavy skins the way they could with Android on mobile devices. When it comes to added functionality, Asus’ top brass talked in the past about support for Chinese language voice controls, as well as some kind of gesture support. 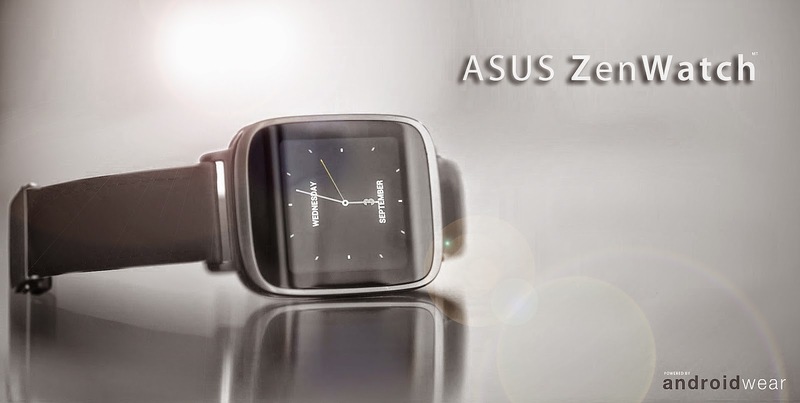 The Asus ZenWatch is expected to launch this month for less than $200.